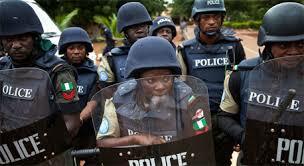 Police confirm killing of 11 in jos. – Royal Times of Nigeria. Gunmen have killed 11 persons at Lopandet Dwei community in Du District of Jos South Local Government Area of Plateau, the state’s Police Command confirmed on Monday. DSP Terna Tyopev, the Police Public Relations Officer in the state, told newsmen in Jos that the attack was carried out on Sunday night. “Yesterday at about 8:30.p.m, we received a distress call that gunmen attacked Lopandet Dwei Du area of Jos South Local Government Area of the state. “We immediately mobilised to the scene. On arrival, we discovered that some people were already shot. “We immediately rushed the victims to Jos University Teaching Hospital (JUTH) and Plateau Specialist Hospital. “Doctors at both hospitals confirmed the death of 11 persons while 12 others who are badly wounded were being treated at the hospitals, ” he said. Tyopev said armed security personnel were deployed to the area to forestall further attacks and break down of law and order. He said investigation was ongoing to arrest the perpetrators of the heinous crime.